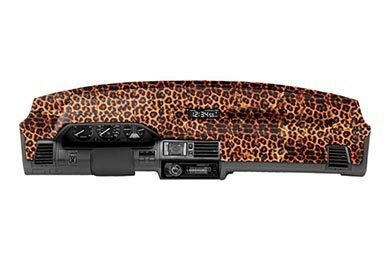 Discover the right dashboard cover for your vehicle. Most people know that the sun can wreak havoc on your ride’s exterior, by fading the paint and creating sun spots. But, not many people know that the sun can also do a number on your ride’s interior. Having a cracked, faded and warped dashboard is one of the fastest ways to bring down your car’s value. But, you’re in luck. Not only is an ugly dash completely preventable, it’s also treatable—without costing you a fortune. A dashboard cover is the easiest way to hide your ride’s imperfections while also preventing more damage from occurring. Besides adding extra protection, dashboard covers also give you a major boost in interior elegance. They come in several different styles, fabrics and colors to match or complement any color scheme. Take, for example, the velour dash mat. It’s designed to add a touch of plush to your ride’s interior. And, it’s made from a 3-layer Tritex-velour fabric to beat the heat, fading and glare that batters your dash. Or, consider the super-soft suede dashboard cover that adds sophisticated style to your interior. You can opt for the classic brushed suede for understated style, or opt for the sporty Sedona suede with perforated suede fabric. For even more interior protection, check out our selection of rear deck covers. Similar to a dash cover, a rear deck cover provides a shield against scathing UV rays while also keeping your interior cooler. When it comes to choosing the best dash mat or rear deck cover, stick with the names you can trust, like Dash Designs and Coverking. 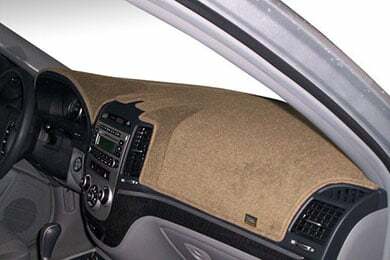 Dash Designs has spent nearly 30 years creating custom dash covers that are strong enough to protect against extreme sun and heat. Dash Designs dash mats have become the industry standard for quality, durability and fit. Coverking, on the other hand, has created the ultimate molded dashboard cover that’s made to contour your dashboard’s every curve. The Coverking Molded Dash Cover provides extreme protection against fading, cracking and glare. Plus, it looks great. Before you go out and spend big money on dash restoration or dash repair, be sure to check out our selection of top-notch dash mats. Still not convinced? Check out the numerous dash covers reviews on our site to see exactly what other car enthusiasts have to say about our custom dash mats. Placeing my order was easy,fun,and fast!Thanks autoanytthing...Your new liftime customer Robert. Outstanding Experience with ASuto anything! My daughter has been asking me to order a mat for her. She is so impressed. That will be my next task. I have recently placed three orders and all three were above my expectations by the courtesy and knowledge of those I spoke with on the telephone! Will this dash cover interfere with the dash airbags? Hello. If your has a designated panel for an airbag, the dash cover will have a flap over the airbag which will not impair its operation. Thank you for your question. Hi Erik, yes, these are built to accommodate all of your factory dash features. Reference # 761-762-529 © 2000-2019 AutoAnything, Inc.